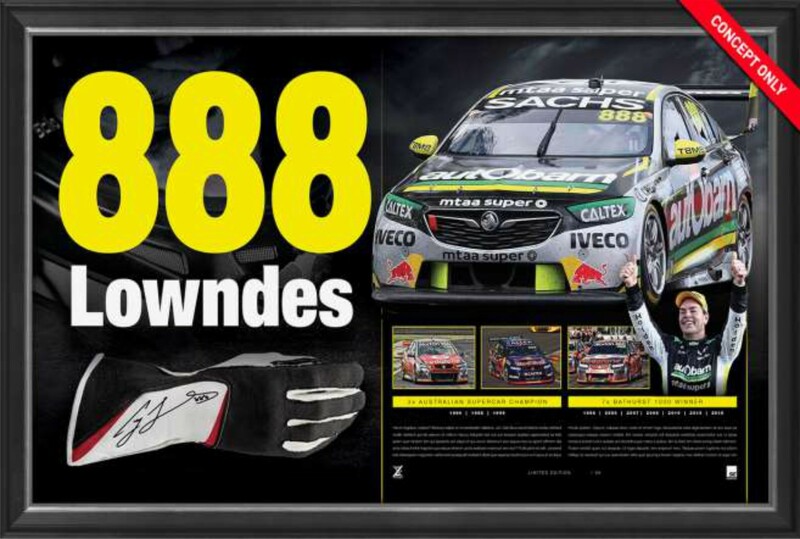 "888 Lowndes" display features a replica of Craig Lowndes' race glove, sourced directly from Triple Eight Race Engineering, each edition of "888 Lowndes" comes personally signed by Lowndes and is officially licensed and endorsed by Triple Eight Race Engineering. It features the exact 888 decal displayed on Lowndesy's car during his final season of V8 Supercars, displayed on the outside of the deluxe showcase. 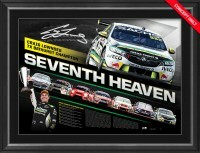 The display features imagery of his 2018 Bathurst-1000 winning car and 1998/99 Australian Touring Car Championship winning cars, alongside statistics from his decorated racing career. 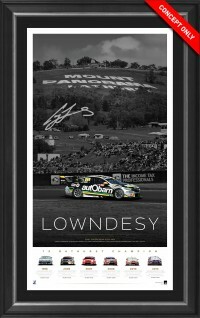 Limited to an edition of 88 only, "888 Lowndes" is a must have for any Craig Lowndes fan or Motorsport enthusiast alike. Each display is presented in a deluxe black frame. The display measures an impressive 800mm high x 500mm wide (approximately). Don't miss out - secure your tribute to one of the greatest ever drivers before they sell out!